Conventional wisdom would suggest that since there are more people going online every year that the top brands should see their audiences steadily growing. New research from Nielsen strongly suggests that may not be the case. The growing number of mobile devices has significantly shifted the way people access their favorite content and gives marketers reason to review their strategies to ensure their campaigns are mobile friendly. This article will briefly explain the research from Nielsen and what business owners can do to take advantage of the rise of mobile devices. The recent study from Nielsen highlights the need for businesses to embrace mobile marketing. From January to October of 2013, the average unique audiences for the top ten web brands in the U.S. were down when compared to the same period in the previous year. Neatly explaining where the lost audience is going, the top ten mobile brands in the U.S. saw their year-over-year unique audience numbers increase. The researchers noted that the move to mobile has been bad for desktop browsers, which will lead to a smaller audience for banner ads on websites (though it will be a long time before marketers won’t need to use them), but they did show that video content is still performing well. The research is also more evidence for why business owners should use mobile marketing and why mobile SEO is so important. As mobile devices gobble up a larger share of web traffic, marketers need to think about how well their site works on mobile devices, start running ads on mobile platforms, and discuss the possibility of updating their site to be more mobile-friendly or even build an app. 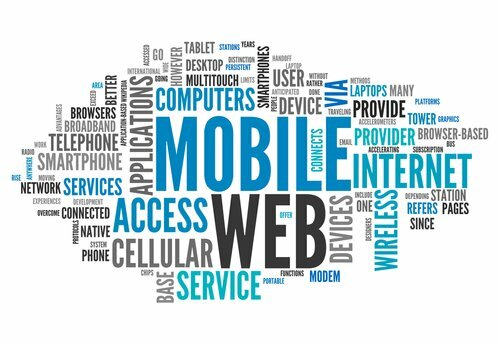 As the mobile web grows in importance, so does the significance of mobile SEO. There are simple keyword that show up often in mobile searches that many businesses don’t already have in their content. For example, mobile users often search for “mobile coupons”, “apps”, context-related searches (searching by zip code), and more. In fact, the additional of voice-based input in searches greatly changes the keywords people use. There are a lot of best practices that marketers can consider using when building a site with good Mobile SEO. Now is the time to start working with marketing experts to ensure your mobile site is good. Even if the top website’s are losing market share to mobile sites, the fact remains that the internet and websites are key to the future of any company. Internet marketing is an ever-changing field and right now, mobile marketing is the cutting edge that businesses should start focusing on. Business owners who have not begun updating their site to be mobile optimized should take this research from Nielsen as another sign that the time is now.